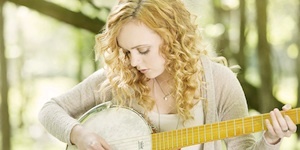 New artist Ella Mae Bowen has released her self-titled debut EP on iTunes. The 19-year-old Bowen began writing at seven and nearly 10 years later won first prize for her song “This Is What It Feels Like,” as well as honorable mention for “His Name Was Sam,” from the 2014 International Songwriting Competition – both songs which appear on the EP. The EP features the autobiographical song “His Name Was Sam” about Ella Mae’s late Grandfather who passed when she was just 10. For more Ella Mae information go to www.ellamaebowen.com and to purchase the EP, click HERE.